Learn a practical, efficient and devastating Martial Arts of the legendary Bruce Lee. Are you interested in studying an effective, practical, and commonsense Self Defense Chinese Martial Arts System. You may want to enhance your fitness, health, balance and coordination in a friendly, professional and safe environment. This may be the Activity you are looking for! Sifu Garry and Sifu Linda have over 35 years and 27 years Experience in Martial Arts respectively, and are 4th Generation Lineage Holders from the legendary "King of Wing Chun", Dr. Leung Jan, who taught Wing Chun Kung Fu in Southern China between 1850 and 1900. Wing Chun in Melbourne Sifu Garry and Sifu Linda are privy to this unique system of Wing Chun from Leung Bik, having studied with Chinese Wing Chun Masters from Australia and China. Garry and Linda are Grand Students to the legendary Wing Chun Grand Master, Yip Man. Wing Chun In Melbourne Greensborough Martial Arts teaches Traditional Wing Chun Kung Fu for Adults 6 days a week, and Wing Chun Martial Arts for Children 3 days per week. Sifu Garry and Sifu Linda have been to China 10 times training and interacting with many Wing Chun Masters around China and Hong Kong. Sifu Garry and Sifu Linda the Principle Instructors also teach Medical Qigong Classes, Tai Chi and Martial Arts Sports Coaching for the Individual wanting to become an Accredited Wing Chun Martial Arts Instructor. Wing Chun in Melbourne Greensborough Martial Arts is a branch of Shaolin Jee Shin Wing Chun Association which was established in 1995. Wing Chun in Melbourne conducts Wing Chun Classes in Greensborough, a northern suburb of Melbourne, Australia. Wing Chun in Melbourne is an accredited training institute, offering traditional wing chun classes to the general public 6 days per week. Sifu Garry and Sifu Linda have been involved in wing chun kung fu and martial arts for 36 and 27 years respectively. Their martial arts expertise stems from many years of studying Wing Chun in China and Australia and Shaolin Qigong in Australia. For the Career Minded, Sifu Garry and Sifu Linda will assist you in becoming a Nationally Recognized Martial Arts Sports Coach / Instructor. We offer Sports Coaching Courses specializing in Martial Arts to enable Individuals to operate their own Martial Arts and Fitness Centre. Wing Chun in Melbourne teaches Traditonal Wing Chun from the Leung Bik/Yip Man Wing Chun System, Wooden Dummy, Wing Chun Forms, Chi Sao, Wing Chun Kung Fu for Children, Medical Qigong and Martial Arts Sports Coaching for those wanting to pursue a career teaching Martial Arts. Wing Chun Greensborough Martial Arts training will assist the Individual to achieve many benefits and objectives in Life. Sifu Garry and Sifu Linda will help you reach your Life's objectives and assist you to achieve many physical and mental goals. Wing Chun is a practical close range, self defense fighting style suitable for Males and Females of all ages. The science of Wing Chun and its approach to Bio Mechanics makes it a very practical and effective self defense system, using a common sense approach to uplift one's martial skills, self esteem, coordination, balance, fitness and health, leading to Leadership Qualities. My name is Gary. I started training at the shaolin jee shin wing chun school in Greensborough about 5 years ago. I suffer from anxiety and panic attacks. Sifu Garry and Sifu Linda’s vast knowledge and experience has helped me to control and slowly overcome my disposition, with their patience and guidance and mentoring. Garry and Linda are not only masters in wing chun and qigong but also are masters of life in general. My life has progressed in leaps and bounds since I started training in wing chun kung fu, which is not just an efficient self defense system but also a way of life. My name is Richard. I study at the shaolin jee shin wing chun as a full time trainee with the sole purpose of becoming a nationally recognized martial arts sports coach. I have completed a Diploma in Sports Coaching in 2013, which will enable me to Coach clients in Fitness and Martial Arts. Sifu Garry and Sifu Linda have guided and coached me through a very tough period in my life. They have encouraged me and helped me reach my full potential and made me realise that anything is possible in the World if you put your heart and soul into achieving whatever you set out to achieve. Their knowledge and combined skills with wing chun and qigong are second to none. My name is Frank. I’ve been training at Jee Shin Wing Chun Kung Fu martial arts for 15 years. 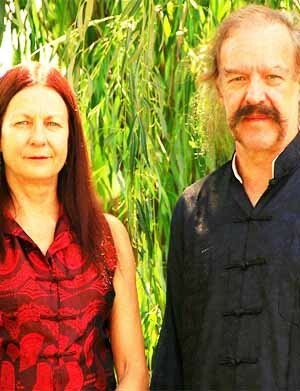 I recommend Gary and Linda‘s training approach which includes practice, theory, practice, learning the history of wing chun and more practice. I recommend the Jee Shin Wing Chun Kung Fu academy to anyone who wants to learn self defence skills, build-up self confidence and improve their fitness. Thank you Sifu Garry and Sifu Linda. My name is Peter. I started trained with Sifu Garry and Sifu Linda in 1998. I trained at the jee shin wing chun academy for 4 years. 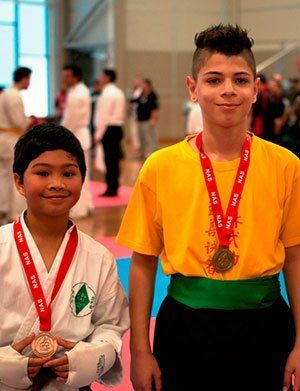 In that time I got my black belt and also entered quite a few tournaments. Sifu Garry and Sifu Linda inspired me to be my best which helped me with my private and social and academic life. The self defence skills they taught me has helped me in several situations and gave me the confidence to protect myself. 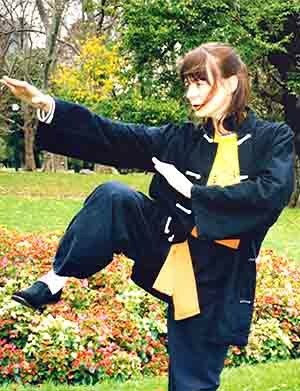 My name is Mary and I have been training Tai Chi with Sifu Garry and Sifu Linda for 8 years and recently started practising Medical Qigong with Garry. 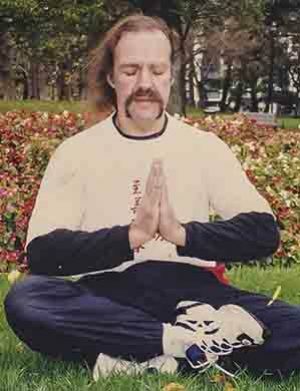 I have been training Qigong for nearly 12 months. Sifu Garry and Sifu Linda have changed my Life. I am more confident. My health has been returned to me as I had been very sick. Also, my confidence to deal with situations is really good these days. My Son started training with Wing Chun in Greensborough Sifu Garry and Sifu Linda about 12 months ago. He was being bullied at School and as a consequence his schooling was suffering. He found it very hard to communicate with his Parents and Friends. Since he started his confidence has spiraled upwards and he doesn’t get picked on any more. He had recently entered Competition and what a difference it has made. Thank you Sifu Linda and Sifu Garry.